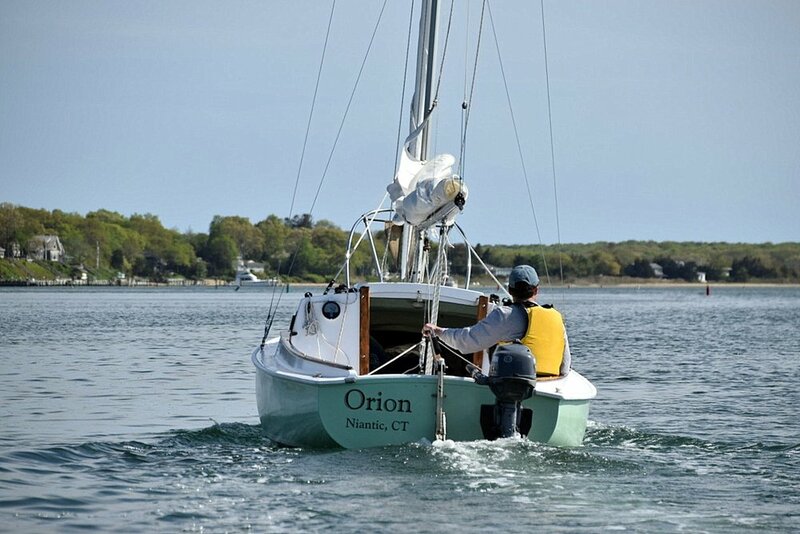 ORION is a 1970 O'Day Mariner 2+2, hull number 1922, built in Fall River, Massachusetts. The boat spent much of her life in New Jersey, eventually finding her way to Surf City. 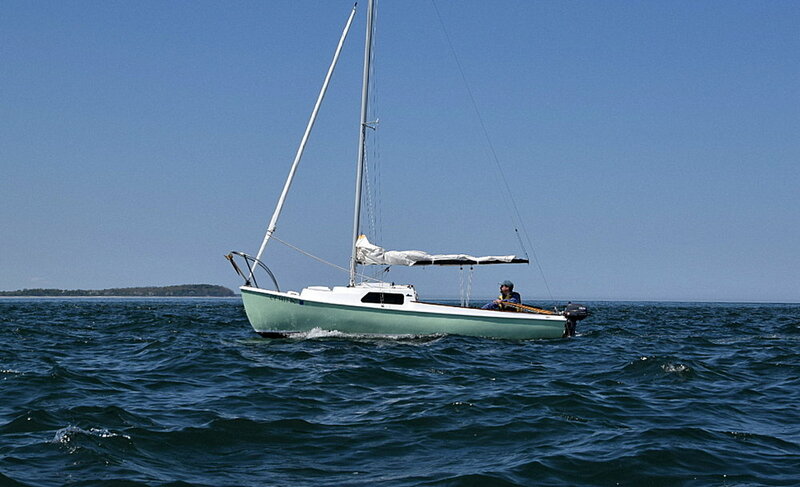 She was owned by only a couple people in her 30-plus years of active sailing, and she found herself for sale again at the end of 2006. As I was actively searching for an O'Day Mariner fitting her description, Newt Wattis of the Surf City Yacht Club notified me of her availability. On one pleasant day at the end of February, 2007, my wife and I traveled to Surf City to see her for ourselves. Upon our arrival, I was pleased to see her in pretty good shape, overall - no big structural issues, mostly only cosmetic issues typical for a boat of that vintage. It wasn't too long after that I got in touch with the owner of the boat, made an offer, and she was ours. All that remained was to go back to Surf City and pick her up. That proved to be a heck of journey. Two months later, in the middle of April, my father was kind enough to accompany us on our second excursion to Surf City. The three of us worked for about two hours, taking things apart, unrigging the mast and securing it, changing tires, and generally making sure we had all the equipment and everything was ready to go for a long trip back home. It was an extremely nerve-wracking trip, as every pothole and bump in the road made the trailer creak and groan. After five hours, we finally made it back to Wallingford, Connecticut. My wife and I named her ORION as that is our favorite constellation, and it seemed to fit the best. I worked to get new parts, including a new mast and all new hardware before she was launched July 6th, 2007. As time went on and I undertook more and more projects to improve the boat, I began documenting my work on this website which became available November of 2008. I continue to sail her as often as I possibly can, and I plan to take good care of her and make improvements with the hopes of sailing her for many years to come.